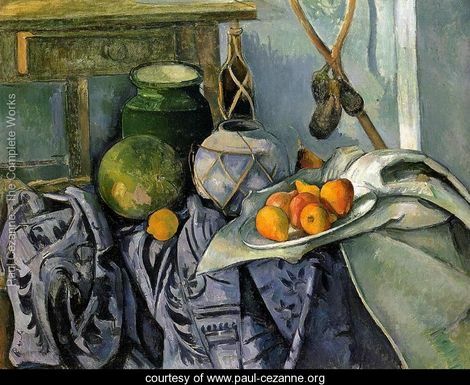 Paul Cézanne was a painter who was deemed the father of abstract art and cubism. His work inspired many artists, including Picasso and Matisse. People appreciate his revolutionary technique and style. Although he has this acclaim and fame as a painter now, he didn’t always have it. 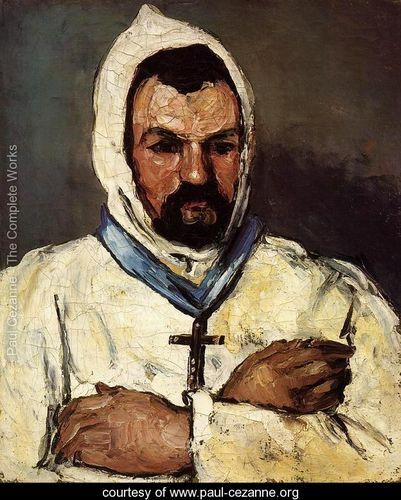 Like most artists with different philosophies than their peers, Cézanne, for most of his career, had little recognition and he was even mocked for his techniques and choices of subjects. But near the end of his life, his impact on the art world began to bloom into what we know Cézanne to be today. If you look at the context of his life along with what his shifts in techniques were, you can uncover why Cézanne was simply a bit ahead of his time. At the beginning of his career as an artist, Cézanne was, in a way, part of an art movement clique, and was trying his hand at other things before he knew that art was his main passion. His father, Phillipe Auguste, was a successful banker, and Cézanne tried working at the bank with him while attending art schools near his hometown. After finding out that banking wasn’t for him, Cézanne moved to Paris, and that was where he met famous painters Claude Monet and Camille Pissarro. They became known as famous artists from the Impressionist movement of art that was the beginning of a departure from traditional and more realistic artwork. With the influence of these artists, Cézanne began to try painting like them. A lot of his paintings came out, however, with a brooding and darker tone than his later works. He was trying to keep with tradition more, keeping up with religious themes and macabre. This particularly shows up with his paintings of Uncle Dominique, painted in the 1860s. Particularly so with the painting “Portrait of Uncle Dominique as a Monk”, you can see that the pigments that he chose were darker and the subject matter is an attempt to keep up with traditionally appreciated subjects. Although he had plenty of guidance and influence, Cézanne’s early work was rejected by annual shows and mocked more than the early of work other Impressionists. In the 1870s, Cézanne began to live in the countryside, where his approach to painting changed. Instead of using romantic or religious subjects, he decided that he must paint from nature instead. Instead of using darker pigments, he began to use brighter colors. As he became more and more interested in landscapes, color, and his new technique of not hiding his short brush strokes, Cézanne withdrew himself from his peers, got married, and began to live again in his hometown of Aix in isolation. This was the setting where his most famous paintings were created. He painted many landscapes and still lives, subjects that were traditionally associated with artists who were lazy or amateurs. One of Cézanne’s most popular works, called “Still Life with Basket of Apples”, is an epitome of his then unorthodox techniques. Accuracy of space and orientation of objects weren’t the concern of Cézanne, as he was more interested in vibrancy of the apples and his perception of the objects. You can also easily see his brushstrokes, something most artists labored hard to avoid. In 1895, an art dealer named Ambroise Vollard took interest in Cézanne’s work and began to exhibit shows of his paintings. That was when Cézanne’s work began to catch the art world’s attention. Suddenly, the annual Salons began to accept his work, and after the time of his death in 1906, his paintings were honored with a large exhibition. Overall, when Cézanne tried to conform to what most artists were working with, he was an underachieving artist. When he accepted the idea of being a little different, he became a revolutionary Post-Impressionist artist. In 1913, he rocked the American art world with artists he inspired in the controversial Armory Show in New York City. And the rest was history. I have always liked Cézanne’s work because his expertise in use of color creates a wonderful vibe of relaxation and brightness for me. For an assignment in one of my art classes, I had even attempted to redraw in pencil one of his still lives, called “Still Life with a Ginger Jar and Eggplants.” I like this painting a lot because of the complex folds of patterned cloth that the ginger jar and other objects sit on, and the ranges in shade and tones of different vibrant colors, especially greens and purples. 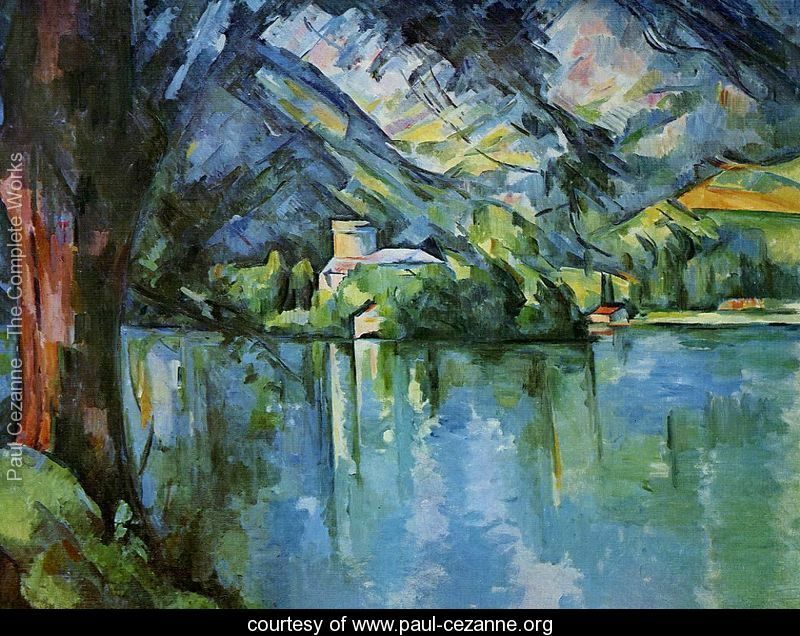 Another favorite of mine is one of Cézanne’s landscapes that is also pretty popular, called “The Lac D’Annecy”. I love this painting because it reminds me of a wonderful weekend getaway. His blend of blues, greens, and browns captures the calming sensation you can experience while being out in nature. The way Cézanne painted the lake itself is really wonderful, in that he captures the blur of reflections on the water and how they are not nowhere near exact duplicate images of the trees and house. Because of the colors and there calming effect, I have been using a picture of the painting as background for my computer. It definitely helps to look at this painting while working on my projects! The history and work of Paul Cézanne highlights the change between traditional and modern painting. He did most of his work isolated from his peers, but eventually, the entire art world began to recognize what he was doing. He was capturing the emotion that objects created rather than simply capturing and replicating what they looked like. 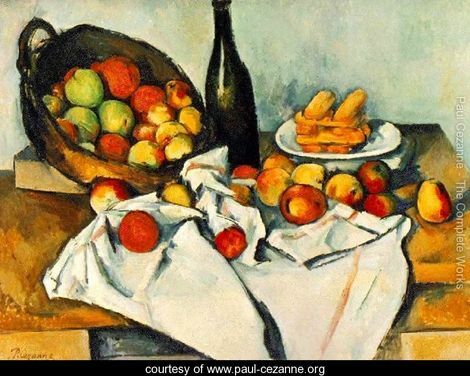 Cézanne’s work, among other artists, eventually became the inspirations behind modern and more abstract art. It’s interesting how he used to be labeled mediocre by his peers and the elite part of the art world, and now, he’s one of the most well appreciated artists. PreviousMississippi Gulf Coast: calling all foodies! Taylor Young is currently a senior at Western Carolina University. She is pursuing a degree in English with a professional writing concentration. Taylor has an enthusiasm for classic literature and editing all types of work. She pulls from her own experiences in her writing and likes finding facts to support any claim she makes.